Pirates wore a gold hoop in their ear for good luck. The ultimate pirate's bounty would be an anchor made of pure gold! 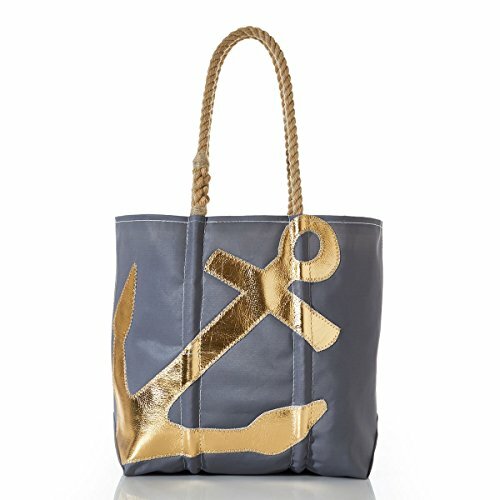 Like the bright light of the sun breaking through the grey fog, the metallic anchor shines from our roomy, recycled sail tote. It's a sophisticated interpretation of our signature design. Recycled sailcloth completes the seafaring theme. Available Sizes: Medium. Handmade in Portland, Maine, USA. Dimensions 14"h x 14"w.